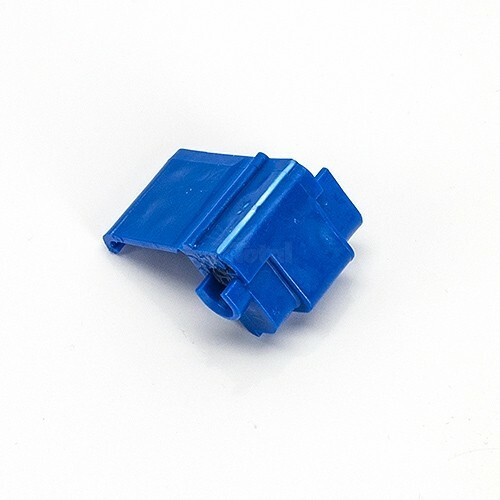 Quick outdoor landscape blue wire connector, electrical IDC run and tap, moisture resistant gel and flame retardant. 3M™ 804. 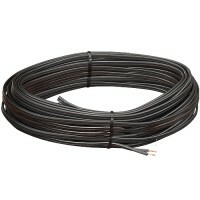 Accommodates 18-16AWG solid/stranded landscape wire. 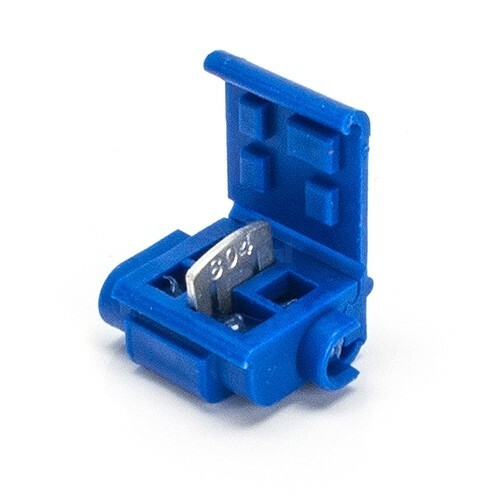 Use with our 16AWG feed wire. 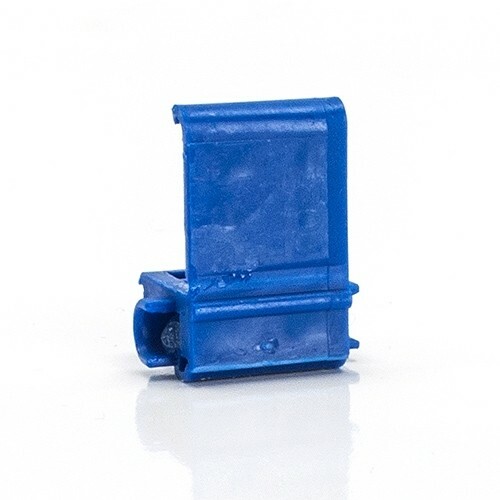 works great with most fixture wire. 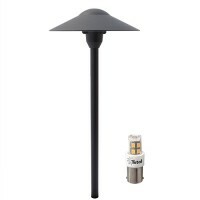 NOTE: TWO CONNECTORS required for one fixture. 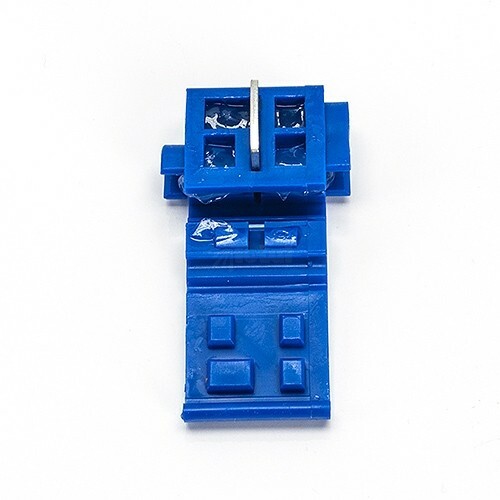 Order the total number of connectors required. 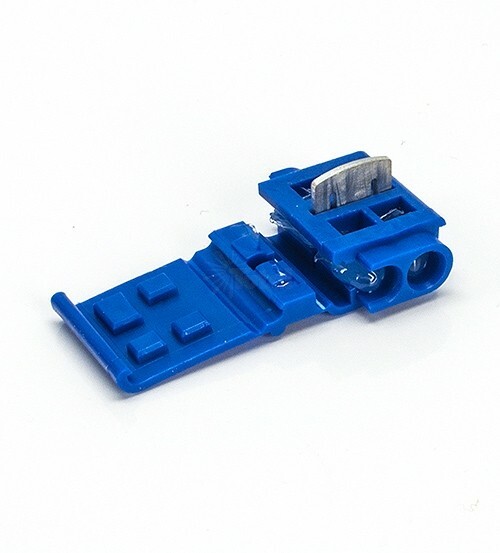 Connector does not ship in sets. 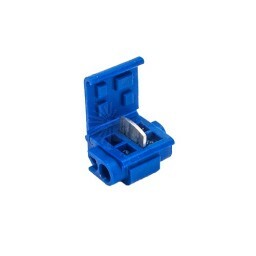 IDC Run or Tap Electrical Connector electrically connects a tap wire to a run (through) wire while insulating the connection. 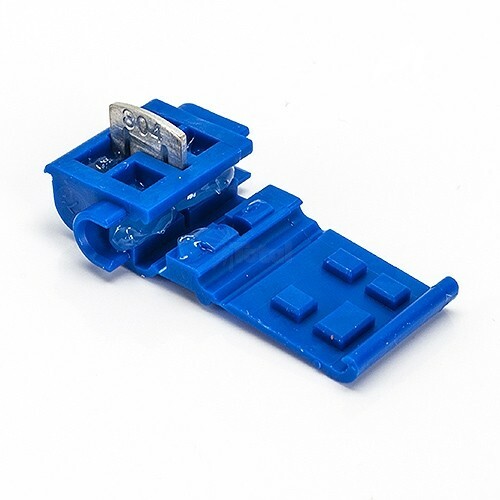 The connector insulation is manufactured from polypropylene and used to electrically tap into a wire in mid-span without cutting or stripping the wire. 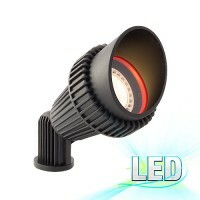 It is 600V-rated and withstands temperatures of 167 degrees F (75 degrees C). 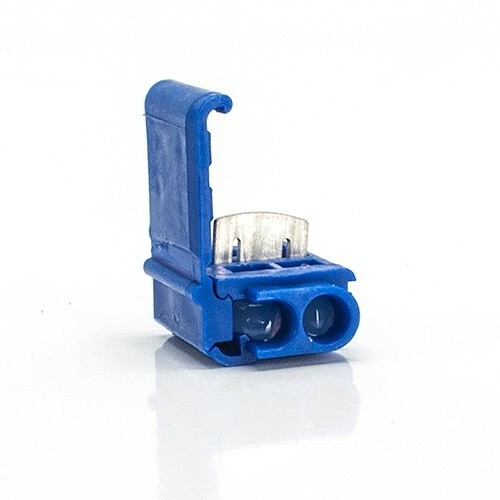 IDC Run or Tap Electrical Connector is color-coded for quick and easy identification of the wire size required. 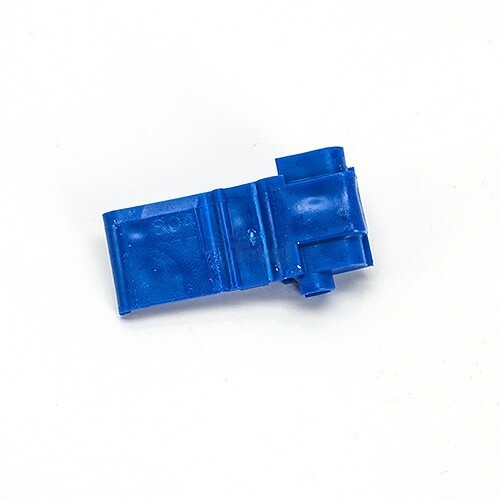 The connector offers a moisture-resistant seal. 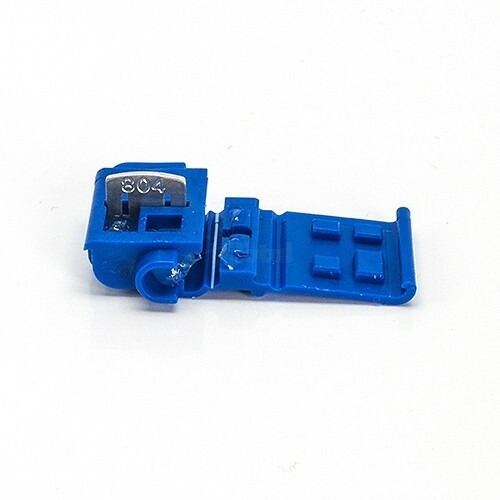 This connector is suitable for control circuit wiring, fixture wiring, appliance wiring, signal and PA systems and automotive/boat/RV wiring. 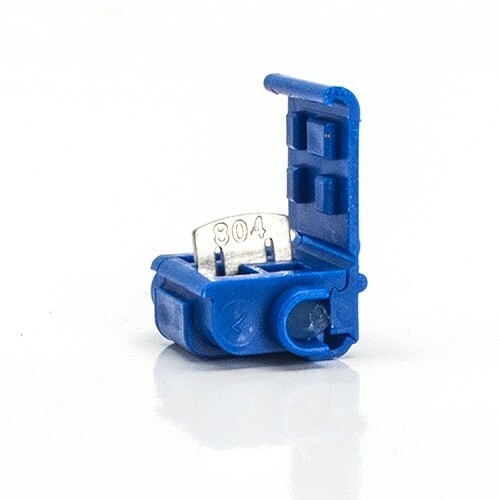 RoHS 2011/65/EU Compliant and UL Listed. 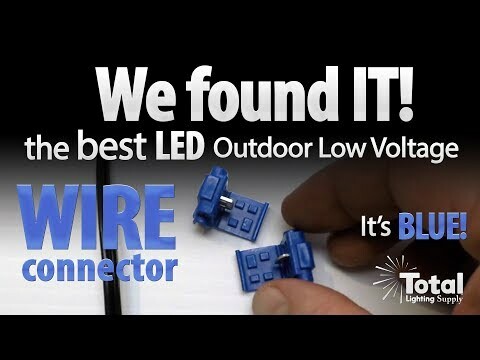 Do not use with #14 landscape wire from the big box stores. #16 vaires in diametor and some may be larger or smaller and may require a small plyers to push into the connector.